Photo taken in the beginning of 1960's, Sollentuna, Stockholm. Picture published 2013-09-05, Ronny Eriksson. Same A-Ford as before. 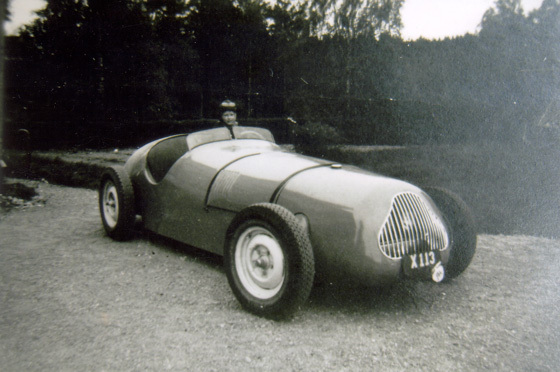 This car was later on additionally altered, one of the things done was lowering the frame – which possibly was the first time that was done in Sweden. 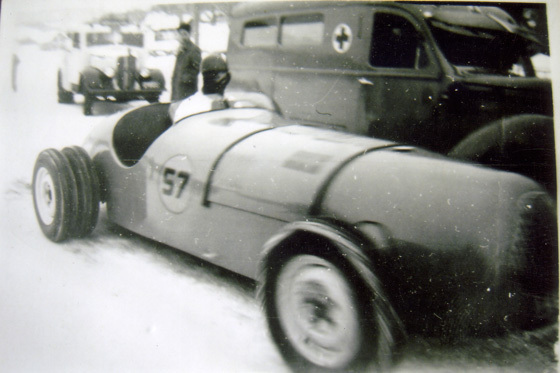 Peder Lundgren raced with the car for a while (which there are plenty of news articles about) but then later on the car disappeared for some time just to reappear at Norrtälje Bosse. Then after that no one knew what happened with the car until it showed up at Panko cardump in Enköping. To this day Panko's car dump still stands, with the minor adjustment of a “raggar” club on the second level. Picture taken in the 1960's, Barrvägen, Sollentuna. 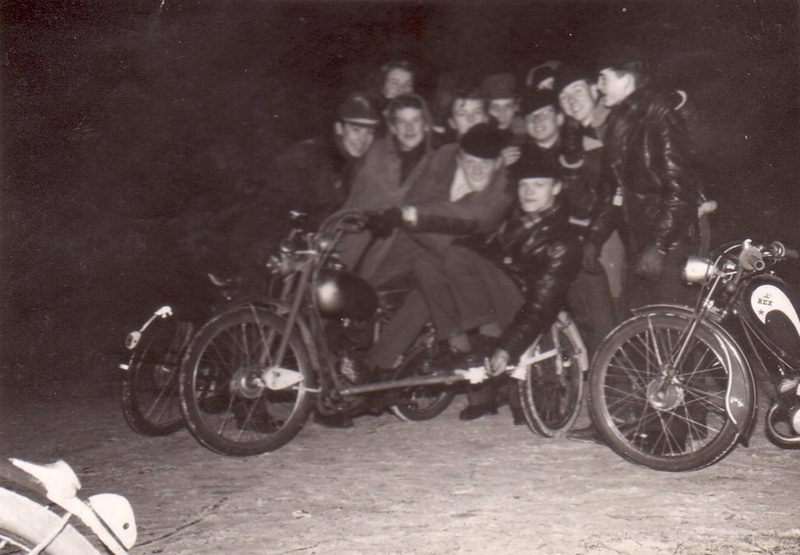 “Barrvägs gänget” with Janne Risberg all the way to the right (the one in a leather jacket). The guy sitting on the moped is Tommy Hallin and the one with the pointy hat is Ola Erickssson (whom later on started Erickssons car mechanic in Stockholm). Check out the mopeds though! It looks like a Rusch with a sidekick. Rusch was the cool moped that was made in Stockholm at Klara Norra Kyrkogatan. 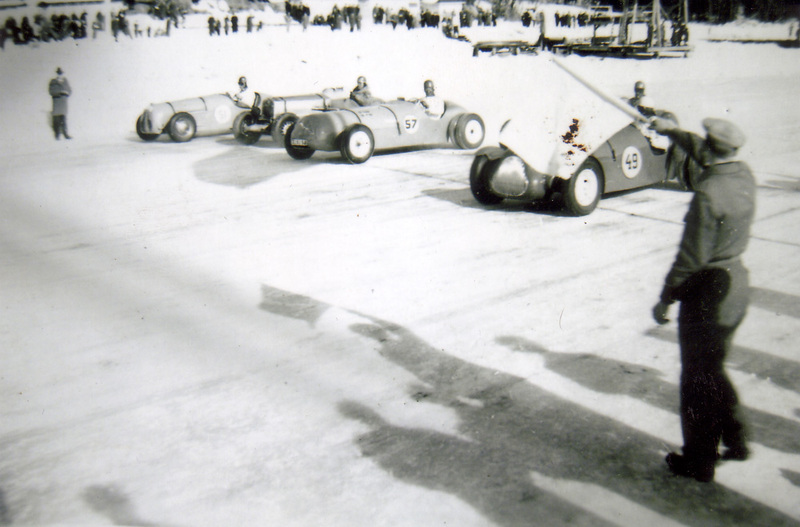 Racing on ice somewhere in Sweden. The guy behind the steering wheel is most probably the owner, Björklund. Specific ice wheels were used and the car had rims on the back wheels. The Nordic “specialvagnsklassen” (direct translation special wagon class) was shut down after 1953 so this picture have to have been taken before that. Photo taken in the 1950's. Double wheels on each side on the back - this was done to enhance the grip. The guy that built the car lived in the house to the right, up in Järbo. 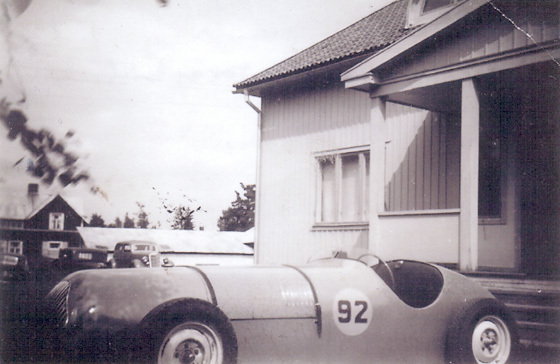 He also owned the garage in the picture where he had the car between 1950 and 1953. 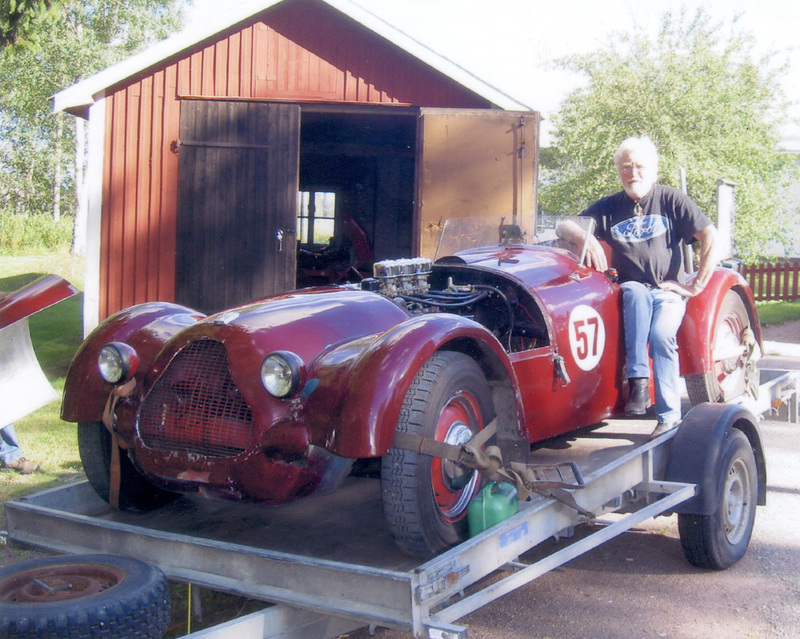 The car was built in Järbo too and whenever the car was done he brought it over to his garage. 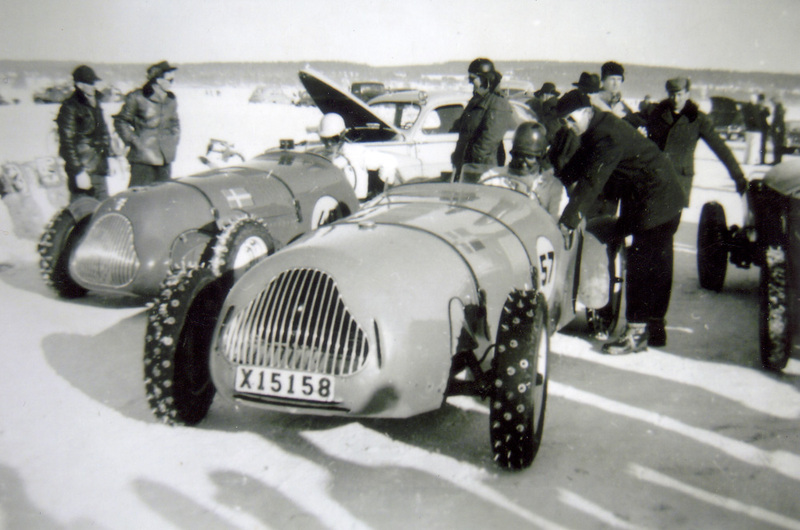 They built two cars in Järbo and the sistercar that Ockelbo did is no longer in production. It's funny, whenever we arrived there today, there was an old man sitting outside the house. The production of the two cars and what had happened to them had been something people had spent a lot of hours talking about over the years. So whenever we showed up with my car, and the old man saw it, it was almost as if he had seen a ghost. Photo taken during the 1950's. Björklund's car to the right and Erik "Ockelbo" Lundgren´s car to the left. 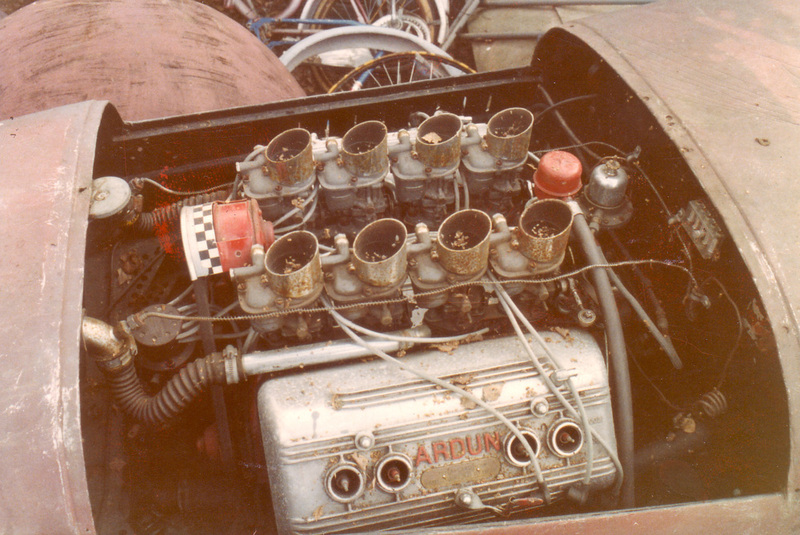 Björklund's car is amazingly still around today although Ockelbo's car ended up at the dump years ago. I do however still have one of the stud tires that used to sit on Björklund's car – and I actually met the man who made them. He told me that once they built them they used old worn down wheels, cut out the patterns, and then put in new studs. After that he put in the inner wheel, inner tubes, and then 5k's pressure. All the way to the right is what I think was Alta Lundgren's Buick special. You can't always trust the number's on these plates – but there was (some) logic behind this. The “specials” had been given specific numbers, but in 1951 the first line was changed (I guess they started off wrong?). So what happened was that Björklund's car started out being a 92 but was then later on re-named as a 57. 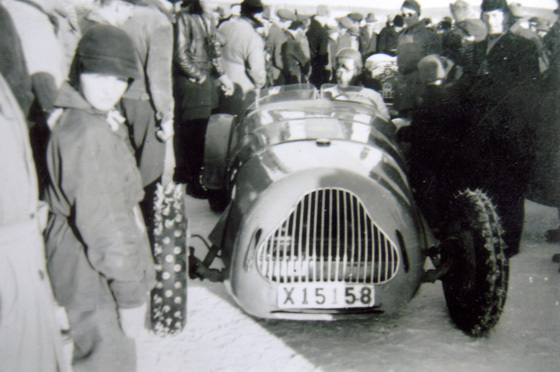 On those rare occasions that they were given other numbers it was since the organizers of different competitions wanted to have their own number line. Source: Tomas Karlsson. Furthest away Sven Jönsson, Bergström, Berglund, Carlsson and "Ockelbo" Lundgren. Graveled ice track, therefore the doubled back wheels. 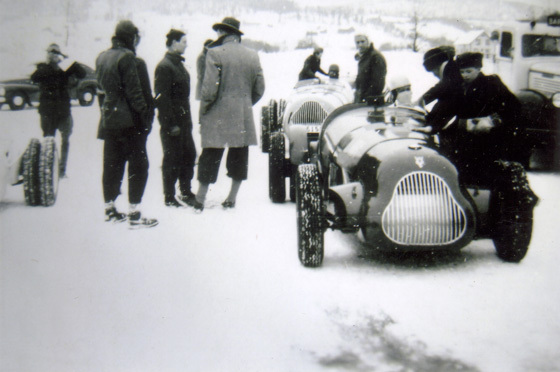 Graveling the ice was more common back during the end of the 40's since the shortage of rubber to make winter tires (with studs on). But what a race it was going to be! In the midst of the winter's biting cold this was about to be a real fierce competition and only the toughest had shown up. Back then the safety was nowhere near what we have today and it was common that drivers died in accidents. I remember one race down in the southern parts of Sweden where they did the mistake of starting off the slow cars before they started the faster ones. The fast cars caught up with the slower ones in the middle of a small community and chaos, disorder, and fire was a fact. 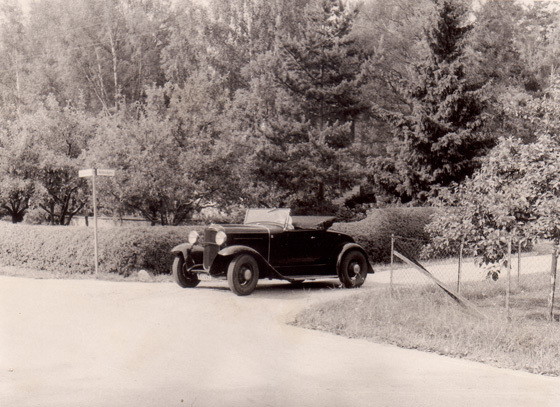 Photo taken in the beginning of the 1950's, Järbo. Completely new car! Picture is taken from Järbo, right by the garage. The car must have had number 92 before it was later on changed to 57. Not a bad collection that I had going there, looking at the background of the photo one can see a Volvo PV, a Pickup or some kind of truck, and all the way to the right a Ford 1935/36. Photo taken during the 1950's, Järbo. Brand new and first drive back home to the farm. Fresh tires and everything. The hole for the radiator is still there although someone at a later point in time used rivets and plastic to cover it. Unknown Nordic Specialty waiting to be renovated. 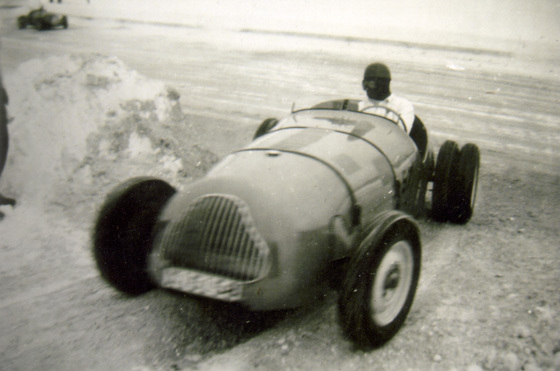 The car is still around today but I don't know a lot about the car or it's drivers. This must be Björklund's 57 with its first owner, at some ice race. Check out the length of the studs to the right. 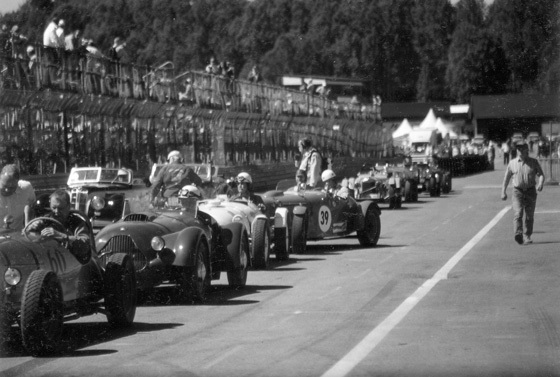 Photo taken during the first half of the 1950's. Ockelbo Lundgrens car, the sister car to my old car. In all likelihood my car is the one right behind it. Lots of furry hats in the picture, looks just like Russians - holiday for the KGB agents? Notice that the tires do not have any spikes in this picture which would mean that it must have been a sanded ice track. My car again with double tires on the back. Photo taken during the beginning of the 21th century. Picture taken at Gelleråsen 2006. 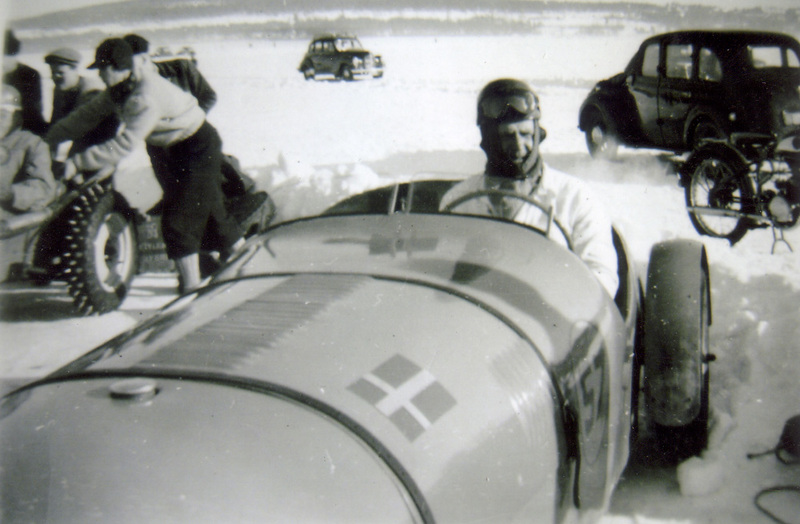 First out is Lenberg's car, then mine, and behind us are Roffe's Snövit (“Snowhite”) and then Pettersson's car. I was a part of Gelleråsen's car show 2006, 2007 and 2008. Photo taken during the 21st century, Bromma, Stockholm. 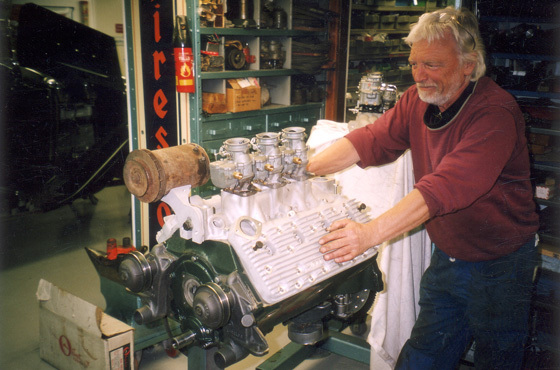 I found the Nordic Specialty 57 on Lidingö but with a Corvette motor in it, so to restore it to its original beauty I switched out the motor for a side valved V8 motor (which is what I am working on in the picture).